Do you ever consider your food’s journey to your plate? If so, you’re not alone. Many Americans are choosing to purchase foods produced closer to home. The farm-to-table movement is defined as a social movement that emphasizes how people can connect more closely to the origins of their food. Embracing the farm to table way of eating, means knowing where your food comes from, as well as how ingredients are grown or farmed. Milk is one of the original farm-to-table foods. This wholesome farm-to-table drink typically arrives on grocery store shelves in just two days from many family-owned and operated dairy farms. Milk is minimally processed and farm fresh, often originating from dairy farms fewer than 300 miles away from your grocery store. Is Milk a Sustainable Food? Many Americans now consider how sustainable foods and farming practices impact what their families eat. Thanks to innovative practices, dairy farmers are stewards of the pasture and the farm-to-table movement, responsibly producing milk, cheese and other dairy products while continuously working to develop a more sustainable food system for future generations. Natural foods are defined by many as foods that are minimally processed and do not contain additives or artificial ingredients. While the U.S. Food and Drug Administration does not have a standard definition for products labeled as natural, foods that do not contain added color, artificial flavors or synthetic substances are considered natural. What Makes Organic Foods, Like Milk, Organic? Organic milk is produced according the organic standards established by the USDA. These strict standards describe the specific and approved practices organic dairy farmers use for their crops and livestock. For just about 25 cents per serving, this farm-to-table drink is a budget-friendly source of 8 grams of natural, high-quality protein in every 8-ounce glass. 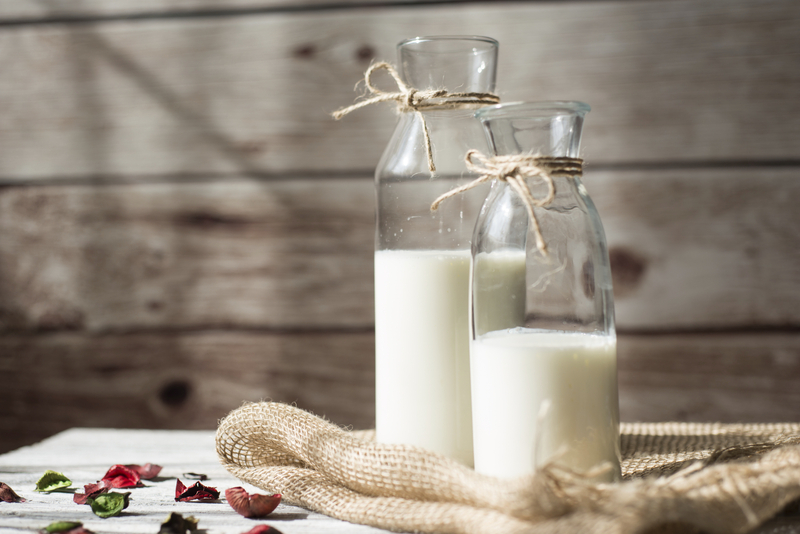 Milk is a nutrient powerhouse that also contains eight other essential nutrients, like potassium and calcium, making this farm-fresh beverage one of the most nutrient-rich foods you can buy. Take a fresh look at milk and learn more about how milk travels from the farm to table.